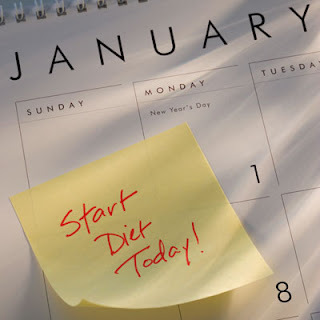 The new year is just around the corner and I know many of you ladies are planning to put losing weight as one of your New Year's Resolution. You get super excited about your goal and buy all the gear, sign up for that gym membership, and begin going to those spin classes. Everything is going great until February rounds around and you weigh in the first week only to see that you haven't lost a pound. You brush it off and try to stay motivated. Second week begins with some doubt and you slowly begin to miss a day or two. You weigh in only to see that you've gain some weight instead of losing. We've all been there! But what if I told you that there is one simple trick that can keep you on track to your best body and keep you motivated. According to a recent study done by the American Journal of Preventive Medicine, the key to weight loss success is keeping a food journal! Studies have shown that participants who kept food journals lost twice as much weight than those who didn't. It makes sense since you are seeing how much calories you consumed throughout the day which makes it easier to know how much you have to burn off by exercising. You can track your food intake by simply writing it in a journal, on your computer, or even on your phone. There are even apps available that are dedicated to this kind of stuff. Using all the tools you have at hand, like a food diary for example, will make you that much more closer to your goal. Remember not to overwhelm yourself in the beginning and take it one step at a time.